The Shap Granite in the Lake District of northern England intruded the surrounding host rocks as a magma that released hydrothermal fluids as it crystallized and cooled. These hot fluids in turn produced an atypically wide contact metamorphic and metasomatic aureole around the intrusion. There is no evidence at the boundary for tectonic emplacement of a primordial cold granite body. This study documents an abundance of Po radiohalos in the Shap Granite. These Po radiohalos had to have been produced in the granite after the hydrothermal fluids released in the granite had assisted in the formation of the granite’s distinctive orthoclase feldspar megacrysts, and after the crystallized granite had subsequently cooled below the 150°C annealing temperature of radiohalos. The abundance of Po radiohalos is consistent with the hydrothermal fluid transport model for Po radiohalo formation and with catastrophically rapid granite formation. These features imply that the Shap Granite formed in 6–10 days and its Po radiohalos within hours to days once the granite cooled below 150°C. Hydraulic fracturing of the host rocks overlying the pluton facilitated rapid unroofing of the granite. Continued rapid erosion then deposited granite pebbles in the basal conglomerate of the overlying limestone. It is, therefore, conceivable that the Shap Granite formed, was unroofed, and the basal conglomerate with granite pebbles was deposited, all within 2–3 weeks during the early-middle part of the Flood year. The Po radiohalos and other evidence associated with this granite thus remove objections to Flood geology and any need to place the Flood/post-Flood boundary in the lower Carboniferous. This paper was originally published in the Proceedings of the Sixth International Conference on Creationism, pp. 389–405 (2008) and is reproduced here with the permission of the Creation Science Fellowship of Pittsburgh and the Institute for Creation Research, Dallas. An oft-repeated claim is that a timescale of a million years or more for the formation and cooling of molten granite bodies unequivocally disproves Flood geology and its biblical chronological framework.1 But many lines of current research are dispelling this misguided thinking.2, 3, 4, 5 Nevertheless, there exist granite bodies whose geological contexts place very tight time constraints on their formation and cooling histories, so much so, that some Flood geologists feel compelled for this and other reasons to place the end of the Flood well down in the geologic record, even as low as the so-called lower Carboniferous (or Mississippian) (for example, Robinson6). An example of such a granite body is the middle Devonian Shap Granite of the Lake District, England. However, an investigation of radiohalos in this granite provides evidence that further dispels these objections to Flood geology and alleviates the need to place the end of the Flood so far down in the geologic record. Fig. 1. Geology of the Lake District, northern England, showing the location of the Shap Granite. The oldest rocks in the district (the lowermost in the exposed strata sequence) are Skiddaw Group greywackes, siltstones, and mudstones (now slates in some cases), with sandstones. These appear to have been deposited almost entirely by turbidity currents in relatively deep water. Even though these sedimentary strata are more than 3,000 meters thick, their accumulation via turbidity currents need not have taken the oft-claimed millions of years. Instead, such a thick strata sequence could have accumulated very rapidly early in the Flood year as catastrophic global tectonic upheavals triggered an abundance of turbidity currents, at intervals as short as minutes. Such a catastrophic depositional environment has been confirmed by recognition of large blocks hundreds of meters in diameter which slid downslope as the sediments accumulated.9 The burial of such large blocks indicates that each cycle of these turbidite sediments had to be tens to hundreds of meters thick, so that the whole 3,000 meters thick sequence was deposited within days during the Flood. One source of this huge thickness of sediments would have been the sediments on the pre-Flood ocean floor.10 The conventional Ordovician age assigned to these Skiddaw Group sediments is based mostly on graptolites, but acritarchs and other microfossils have lately been used. Fig. 2. 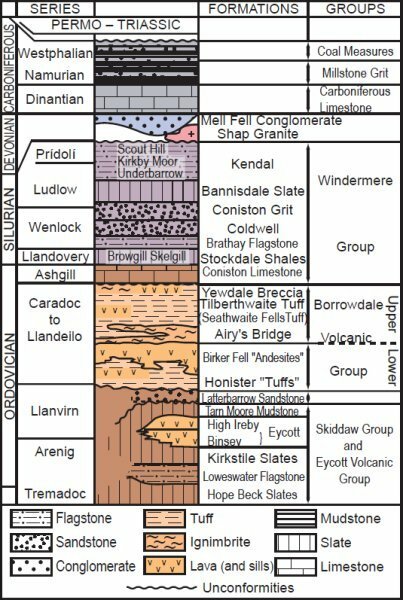 Time-stratigraphic chart showing the strata sequence in the Lake District, northern England, including the relative time position of the Shap Granite. By the late Devonian all earlier formed strata were being severely eroded. As a result, the coarse-grained, poorly-sorted Mell Fell Conglomerate was deposited in what has been interpreted as a series of alluvial fans. At least 275 m thick (some estimates are as high as 1,500 m thick), this conglomerate consists of pebbles of mostly Silurian Windermere greywacke, but also some Skiddaw type and Borrowdale volcanic pebbles.29 Possible crossstratification in this conglomerate is added testimony to its rapid deposition. This severe erosion had waned by the early Carboniferous or Dinantian (equivalent to the Mississippian in the USA), giving way to deposition of a sequence of predominantly limestones that has been interpreted as a series of cyclothems.30 However, the Basement Beds to these limestones consist of conglomerates and sandstones that appear to fill irregularities in the pre-Dinantian erosion surface, and are therefore extremely variable in thickness—over 200 meters in the southwest, about 10 m in the Shap area, and completely absent in places. It is in this lower Carboniferous basal conglomerate that pebbles of, and pink feldspar crystals from, the Shap Granite are found, just over a kilometer to the east of the outcropping Shap Granite. Then during the Namurian (mid-Carboniferous) these limestones were overlain by typical cyclothem sequences consisting of sandstones, shales, and gritstones followed by limestones. These in turn were overlain by the Westphalian (upper Carboniferous, or Pennsylvanian in the USA) Coal Measures, up to more than 600 meters of cyclothems consisting of shales, sandstones, and coals, followed by several hundred meters of red beds. Fig. 3. Geologic map of the Shap Granite, showing the atypically wide contact metamorphic and metasomatic aureole surrounding the boundary of the granite with its host rocks. Sample locations are marked. The nearby basal conglomerate to the Carboniferous limestone outcrops near the Spa Wells Hotel (right). Also present in the granite is a suite of mafic microgranular enclaves, essentially quartz microdiorite, often incorrectly called xenoliths, typically 10–20 cm in size.41, 42 They can be angular or rounded, and may have either sharp or fuzzy boundaries with the normal granite. Furthermore, they also usually contain the same pink orthoclase feldspar megacrysts as in the granite, but they are less frequent and more rounded than in the normal granite. These observations have fueled debate about the origin of these mafic enclaves. Brown et al.55 have summarized all previous attempts to date the Shap Granite.56, 57, 58 Six Rb-Sr model ages determined on biotite from the granite ranged from 364 ± 24 Ma to 403 ± 15 Ma, while 15 K-Ar model ages, also determined on biotite, ranged from 381 ± 12 Ma to 410 Ma. Subsequent U-Pb measurements on zircons from the granite yielded a discordia line with an upper intercept age of 390 ± 6 Ma.59 Wadge, Gale, Beckinsdale, and Rundle60 made three further K-Ar model age determinations on biotites from the granite, which yielded ages of 394 ± 12 Ma, 394 ± 12 Ma and 403 ± 12 Ma, averaged to 397 ± 7 Ma. However, they also performed 22 Rb-Sr measurements on whole-rock granite samples, and biotite and orthoclase feldspar megacryst separates, which yielded a 21-point Rb-Sr isochron line corresponding to an age of 394 ± 3 Ma. Given this apparent agreement (concordance) between these ages for the Shap Granite obtained by three radioisotope dating methods (K-Ar, Rb-Sr, and U-Pb), it has been concluded that in conventional terms this granite is early Devonian (Emsian). Fig. 4. Outcrops of the conglomerate, containing the Shap Granite pebbles and pink K-feldspar crystals, at the base of the Carboniferous (Dinantian) limestone in the creek bank near the Spa Wells Hotel (fig. 3). The Shap Granite has been convincingly dated, in conventional terms, at 394 ± 3 Ma, or middle Devonian. Yet just over a kilometer to the east of the outcropping granite, near the Spa Wells Hotel (fig. 3), is an outcrop of the lower Carboniferous basal conglomerate to the overlying Carboniferous limestones, in which are found pebbles of, and pink orthoclase feldspar megacrysts from, the Shap Granite (fig. 4). So if this conglomerate dates to approximately 354 Ma, there are only 40 million years, in conventional terms, for complete cooling of the granite, erosion of perhaps 1–3 kilometers of host metamorphosed sediments to unroof the granite, and then erosion of the granite to deposit these granite pebbles and feldspar megacrysts in the nearby conglomerate bed. Placement of these processes during the Flood year requires 40 million years of conventional geologic time to be compressed to perhaps only 2–3 weeks! To alleviate this problem some have placed the Flood/post- Flood boundary within this interval, allowing more time in the immediate post-Flood period for the cooling and unroofing of this granite61 (Robinson, Tyler, and Garton, pers. comm.). This view makes the upper Carboniferous coal measures, which overlie the limestones and their basal conglomerate, post-Flood. It also makes the Carboniferous-Recent fossils the result of the post-Flood recolonization of the earth. Since radiohalo studies have provided evidence that granites had to crystallize and cool rapidly,62, 63 a radiohalos investigation of the Shap Granite was undertaken. A field trip to the Shap Granite was made in early October 2002. Several sections of the boundary of the granite with its host rocks were followed and inspected in outcrop. Four samples of the granite were collected. Three of these were from the sporadically used Shap Granite Quarry, and one from an outcrop of the granite at its host rock boundary, not far from the active Shap Blue Quarry (fig. 3). Fig. 5 shows views of the granite and of the sampled outcrops. Fig. 5. Outcrops of the Shap Granite sampled in this study (locations indicated in fig. 3). A standard petrographic thin section was obtained for each granite sample. In the laboratory, a scalpel and tweezers were used to remove flakes of biotite from the sample surfaces. Where necessary portions of the samples were crushed to liberate the constituent mineral grains. Biotite flakes were then hand-picked and placed on the adhesive surface of a piece of clear Scotch™ tape. Once numerous biotite flakes had been mounted on the adhesive surface of this tape, a fresh piece of clear Scotch™ tape was placed over them and firmly pressed along its length so as to ensure the two pieces of tape were stuck together with the biotite flakes firmly wedged between them. The upper piece of clear Scotch™ tape was then peeled back in order to pull apart the biotite flakes. This upper piece of clear Scotch™ tape with thin biotite sheets adhering to it was then placed over a standard glass microscope slide. This procedure was repeated with another piece of clear Scotch™ tape placed over the original Scotch™ tape with biotite flakes adhering to it. These adhering biotite flakes were progressively pulled apart and transferred to microscope slides. In this way tens of microscope slides were prepared for each granite sample, each slide with many (at least 20–30) thin biotite flakes mounted on it. This is similar to the method pioneered by Gentry (Gentry, pers. comm.). Fifty microscope slides were prepared for each sample to ensure good representative sampling statistics. Thus there was a minimum of 1,000 biotite flakes mounted on microscope slides for each sample. Each slide for each granite sample was then carefully examined under a petrological microscope in plane polarized light, and all radiohalos present were identified, noting any relationships between the different radiohalo types, and any unusual features. The numbers of each type of radiohalo in each slide were counted by progressively moving the slide backwards and forwards across the field of view, and the numbers recorded for each slide were then tallied and tabulated for each sample. 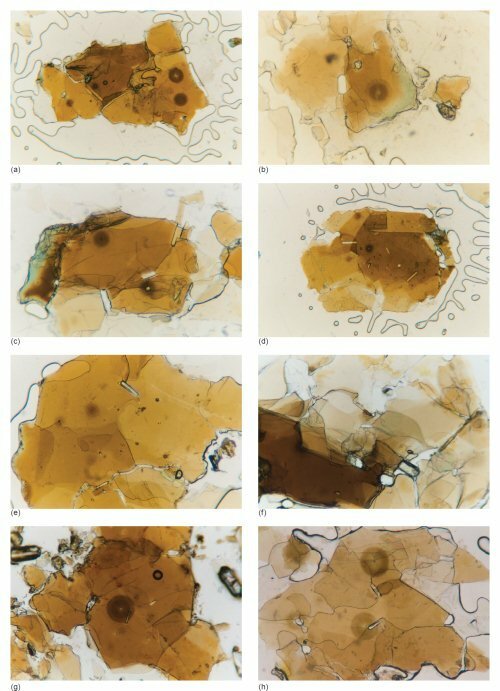 Because of the progressive peeling apart of many of the same biotite flakes during the preparation of the microscope slides, many of the radiohalos appeared on more than one microscope slide. Only radiohalos whose radiocenters were clearly visible were thus counted to ensure each radiohalo was only counted once. Fig. 6 shows the typical mineralogy and textures of the Shap Granite under the microscope in the samples collected for this study. All radiohalos results are listed in Table 1. All four samples contained abundant 238U, 232Th, and Po radiohalos, some representative examples of which can be seen in Fig. 7. As well as the absolute numbers of each of the radiohalo types counted, Table 1 also shows the average total numbers of radiohalos and of just Po radiohalos per slide, plus abundance ratios for pairs of radiohalo types. The four samples average between 9 and 16 radiohalos per slide, and between 6 and 12 Po radiohalos per slide. This compares well to similar average numbers of radiohalos in other Paleozoic-Mesozoic granitic rocks, well above the numbers of radiohalos in Precambrian granitic rocks (see Tables 1 and 2, and Figs. 5 and 6 in Snelling64). 210Po radiohalos outnumber 238U radiohalos by between 2.3 to 1 and 8.7 to 1, and greatly outnumber 214Po and 218Po radiohalos, 35-227 to 1 and 48-571 to 1, respectively. This is also typical of other Paleozoic-Mesozoic granitic rocks. The significance of so many observed Po radiohalos in these Shap Granite samples depends on how they are understood to have formed. In conventional thinking they are “a very tiny mystery” (G. Brent Dalrymple, as quoted by Gentry65) that can therefore be conveniently ignored because they have little apparent significance. However, if the formation of these Po radiohalos cannot be explained, then their significance cannot be fully comprehended. The reality is that the mystery of the Po radiohalos is ignored, because it constitutes a profound challenge to conventional wisdom. Comprehensive reviews of what these Po radiohalos are and how they may have formed are provided by Gentry66, 67, 68, 69 and Snelling.70 It has been established that all the observed Po radiohalos are generated exclusively from the Po radioisotopes in the 238U decay series, namely, 218Po, 214Po, and 210Po, with contributions from none of the other species in the 238U α-decay chain.71 Furthermore, it has been estimated that, like the 238U radiohalos, each visible Po radiohalo requires between 500 million and 1 billion α-decay s to generate it,72 which equates to a corresponding number of Po atoms having been in each radiocenter. Thus the crucial issue is how did so many Po atoms get concentrated into these radiocenters to generate the Po radiohalos, when their half-lives are only 3.1 minutes (218Po), 164 microseconds (214Po), and 138 days (210Po)? Gentry73, 74, 75 insists that the Po must be primordial, that is, created by God instantaneously in place in the radiocenters in the biotite flakes in the granites, and thus the granites are also created rocks. In other words, he argues that granites did not form from the crystallization and cooling of magmas, but rather are the earth’s created foundation rocks. Moreover, where granites such as the Shap Granite have been intruded into fossiliferous Flood-deposited strata, Gentry76 insists that these granites also represent originally created rocks. He argues that during the Flood they were tectonically intruded as cold bodies, and that the contact metamorphic aureoles were produced by the heat and pressure generated during tectonic emplacement, augmented in some cases by hot fluids from depth. Such an interpretation is inconsistent with the field and petrological evidence from the Shap Granite. The contact between the granite and the metamorphosed fossiliferous (Flood-deposited) host rocks it intruded is a sharp, knife-edge boundary, with no fracturing, brecciation or mylonization that should be evident in either the adjacent granite or host rocks if the granite had been intruded tectonically as a cold body (Figs. 5c & d). Fig. 6. 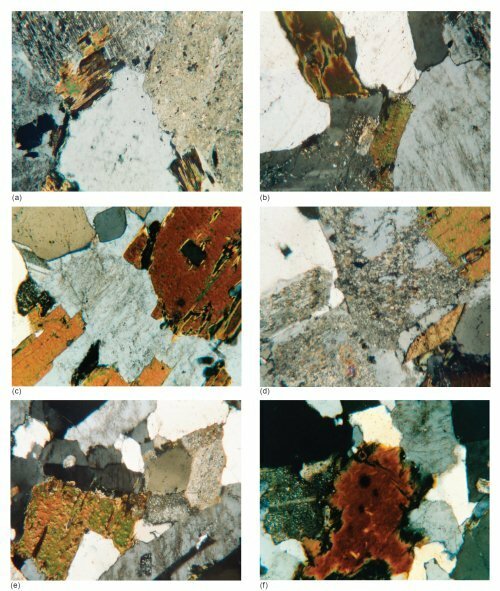 Representative photo-micrographs of the Shap Granite samples used in this study. All photo-micrographs are at the same scale (20× or 1 mm = 40 µm) and the granite is as viewed under crossed polars. Fig. 7. Some representative radiohalos found in biotite flakes separated from the Shap Granite in this study. All photo-micrographs are at the same scale (40× or 1 mm = 20µm) and the biotite flakes are as viewed in plane polarized light. Table 1. Data table of radiohalos numbers counted in the collected Shap Granite samples. 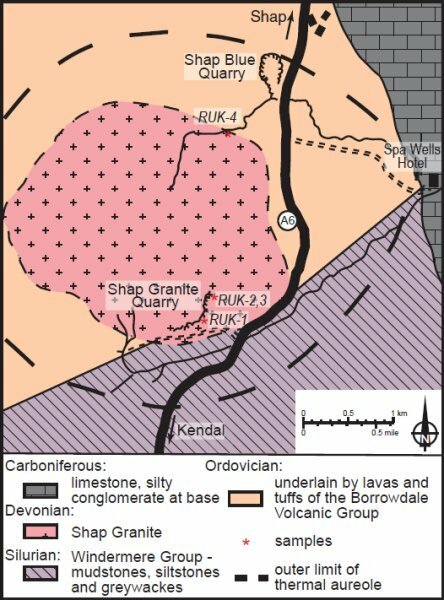 Indeed, granite sample RUK-4 was collected right at the boundary, yet it displayed no petrographic signs of cold tectonic emplacement effects and looked no different from the other samples that were collected further away from the boundary. Furthermore, if the theorized accompanying hot fluids from depth had a temperature of >150°C, as likely they would, then they would have annealed all the radiohalos.77 In fact, hydrothermal fluids were responsible for forming the pink orthoclase feldspar megacrysts within the granite at 410°C and 370°C; so the presently-observed Po radiohalos in the granite could only have been generated subsequently, after the granite had cooled below 150°C. Thus the Po radiohalos were formed after the granite was intruded and after it and its contact metamorphic aureole in the host rocks had cooled. Indeed, the rock in the contact metamorphic aureole at sample site RUK-4 consists of andesite that has been extensively recrystallized to hornfels by the intense magmatic heat and hydrothermal fluids emanating from the intruding magma.78 Furthermore, tongues and veins of granite can be seen penetrating the metamorphosed host rock, proving that the granite intruded as a magma, and is therefore not primordial (that is, created). The other competing model for the formation of the Po radiohalos is a hydrothermal fluid transport model.79, 80 In this model it is postulated that the Po isotopes as well as the 222Rn parent of 218Po were produced from 238U decay in the zircons that are the radiocenters of nearby 238U radiohalos located in the same biotite flakes as the Po radiohalos. The hydrothermal fluids released by the crystallizing and cooling granite magma flowed along the biotite cleavage planes and transported the 222Rn and Po isotopes from the zircon radiocenters. The Po isotopes, including the 218Po produced by 222Rn α-decay (half-life of 3.8 days), were then precipitated in lattice defects along the same biotite cleavage planes where S, Cl and other atoms chemically attractive to Po were located, within a millimeter or so of the zircon radiocenters. These Po precipitation sites became the radiocenters for the Po radiohalos. As the Po in the radiocenters α-decayed, new Po atoms were supplied from the hydrothermal fluids flowing through the biotite lattice. Thus, provided the supply of Po isotopes was sufficient and the hydrothermal fluid flows were sustained and rapid, the required Po concentrations would have been supplied to the radiocenters to produce the 500 million–1 billion Po α-decay s to generate the Po radiohalos within hours or days, consistent with the fleeting half-lives of the Po isotopes. Because hydrothermal fluid flows are crucial to this Po radiohalos formation model, it might be expected that the greater the volume and flow of hydrothermal fluids, the greater the probability that more Po radiohalos would be generated. This prediction has proven true in several situations. First, in granites where hydrothermal ore deposits have formed in veins due to large, sustained hydrothermal fluid flows, there are huge numbers of Po radiohalos, for example, in the Land’s End Granite, Cornwall.81 Second, where hydrothermal fluids were produced by mineral reactions, at a specific pressure-temperature boundary during regional metamorphism, four to five times more Po radiohalos were generated, precisely at that specific metamorphic boundary.82, 83 Third, where hydrothermal fluids flowing in narrow shear zones had rapidly metamorphosed the wall rocks, Po radiohalos were present in the resultant metamorphic rock, a type of metamorphic rock that otherwise does not host Po radiohalos.84 Fourth, in a sequentially intruded suite of nested granite plutons where the hydrothermal fluid content of the granites correspondingly increased, so that the last intruded central pluton was connected to coeval explosive, steam-driven volcanism, the numbers of Po radiohalos generated increased inwards within the nested suite of granite plutons.85 Such evidences provide confirmations that give confidence in this hydrothermal fluid trasnport model for forming Po radiohalos. The hydrothermal fluids generated by the crystallization and cooling of the Shap Granite produced several effects that indicate substantial volumes of sustained fluid flow were involved. The hydrothermal fluids carried the heat released by the crystallizing granite and dispersed it by convection into the host rocks. These fluids generated the 600+ meter wide contact metamorphic and metasomatic aureole around the granite.86, 87, 88 The enormous width of this aureole, nearly half the radius of the exposed Shap Granite stock itself, is most unusual compared with other granites. This large width is testimony to the large volumes of hydrothermal fluids that produced it. Additionally, the hydrothermal fluids penetrated along fractures in the host rocks well beyond the aureole to deposit ore veins of copper, lead, tungsten, and iron.89 Then within the granite itself the magmatic hydrothermal fluids played a role in the formation of the orthoclase feldspar megacrysts, which are characteristic of this granite and dominate its porphyritic texture.90, 91, 92 Thus the large numbers of Po radiohalos in the Shap Granite are consistent with these other evidences of sustained hydrothermal fluid flows through it and out into the surrounding host rocks. The tiny zircon grains that are at the centers of the many 238U radiohalos in the Shap Granite would have been the source of the Po isotopes transported by the hydrothermal fluids to generate the Po radiohalos. The data in Table 1 show that Po radiohalos greatly outnumber 238U radiohalos in the Shap Granite. There are likely two reasons for this. First, many of the 238U radiohalos are dark and overexposed with blurred inner rings (fig. 7), which indicates that there has been an enormous amount of 238U decay, much more than the 500 million–1 billion atoms needed to produce a radiohalo with distinct inner rings. This implies that there likely would have been enough Po generated to form multiple Po radiohalos in the vicinity of each 238U radiohalo. Second, as already noted above, much evidence suggests that the greater the volume and flow of hydrothermal fluids, the greater the number of Po radiohalos generated. Both the Shap Granite and its aureole indicate a large volume of hydrothermal fluids flowed within and outside of this granite. Thus there was a greater capacity for hydrothermal fluid transport of Po atoms to supply more radiocenters with the needed Po atoms to generate the observed Po radiohalos. Even conventional thinking on the timescale for the granite intrusion, crystallization, and cooling processes is changing. Whereas formerly it was claimed that granites took a million years or more to form,95 it is now recognized even in the conventional community that granite formation is a rapid, dynamic process operating on timescales as short as thousands of years.96, 97 Consequently, much evidence now favors the processes of magma generation, segregation, ascent, emplacement, crystallization, and cooling being catastrophic,98, 99, 100, 101 consistent with the catastrophic plate tectonics model for the Genesis Flood event.102 Furthermore, the concept of accelerated radioisotope decay103 allows nuclear decay processes at catastrophic rates during the Flood. Fig. 8. 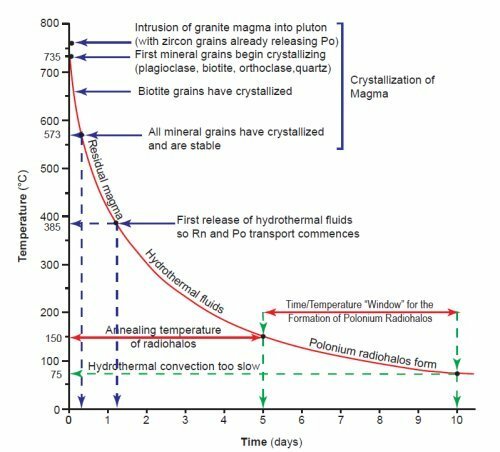 Schematic conceptual temperature versus time cooling curve diagram to show the timescale for granite crystallization and cooling, hydrothermal fluid transport, and the formation of polonium radiohalos (after Snelling105). Both catastrophic granite formation and accelerated radioisotope decay are relevant to the hydrothermal fluid transport model for Po radiohalo formation. However, halo formation itself provides constraints on the rates of both those processes.104 If 238U in the zircon radiocenters supplied the concentrations of Po isotopes required to generate the Po radiohalos, the 238U and Po radiohalos must form over the same timescale of hours to days, as required by the Po isotopes’ short half-lives. This requires 238U production of Po to be grossly accelerated. The 500 million–1 billion α-decays to generate each 238U radiohalo, equivalent to at least 100 million years’ worth of 238U decay at today’s decay rates, had to have taken place in hours to days to supply the required concentration of Po for producing an adjacent Po radiohalo. However, because accelerated 238U decay in the zircons would have been occurring as soon as the zircons crystallized in the magma at 650–750°C, unless the granite magma fully crystallized and cooled to below 150°C very rapidly, all the 238U in the zircons would have rapidly decayed away, as would have also the daughter Po isotopes, before the biotite flakes were cool enough for the 238U and Po radiohalos to form and survive without annealing. Furthermore, the hydrothermal fluid flows needed to transport the Po isotopes along the biotite cleavage planes from the zircons to the Po radiocenters are not long sustained, even in the conventional framework, but decrease rapidly due to cooling of the granite (fig. 8).106 Thus Snelling107 concluded from all these considerations that the granite intrusion, crystallization, and cooling processes occurred together over a timescale of only about 6–10 days. One apparent difficulty with this model is its requirement for α-particle energy, as indicated by radiohalo radius, to be diagnostic and also independent of parent decay rate over many orders of magnitude. However, Chaffin108 has demonstrated that if the depth of the potential energy well for α-decay is increased, with a corresponding increase in the decay constant (and therefore the decay rate), then the decay energy of the α-particle may be held the same with only a slight increase in the nuclear radius, so that the radii of radiohalos also would remain the same while the α-decay rate increased. A second apparent and related difficulty is that if the 238U decay rate was grossly accelerated by many orders of magnitude, then the decay of the Po isotopes might also be similarly accelerated, and thus there would not have been enough time for hydrothermal fluid transport to carry the Po atoms for even a millimeter within the biotite flakes. However, Austin109 and Snelling110 have documented evidence that in an accelerated α-decay episode the parent isotopes which today have the slowest decay rates (and thus yield the oldest ages on the same rock samples) had their decay accelerated the most. The implication of this observation is that in an accelerated α-decay episode, those parent isotopes which decay at extremely high rates today should have experienced almost no acceleration of their decay. Thus the decay of the Po isotopes would have hardly been accelerated at all, in stark contrast to the huge acceleration of 238U decay. This would, therefore, have allowed enough time for hydrothermal fluid transport of the Po atoms needed to generate the Po radiohalos. However, someone might inquire what requires the hydrothermal fluid flow interval to be so brief? Surely, because the zircon radiocenters and their 238U radiohalos are near to (typically within only 1 mm or so) the Po radiocenters in the same biotite flakes, could not the hydrothermal flow have indeed carried each Po atom from the 238U radiocenters to the Po radiocenters within minutes, but the interval of hydrothermal fluid flow persist over many thousands of years during which the billion Po atoms needed for each Po radiohalo are transported that short distance? In this case the 238U decay and the generation of Po atoms could be stretched over that longer interval. However, as already noted above, by the time a granite body and its hydrothermal fluids cool to below 150°C, most of the energy to drive the hydrothermal convection system and fluid flow has already dissipated.111 The hydrothermal fluids are expelled from the crystallizing granite and start flowing at between 410 and 370°C (fig. 8). So unless the granite cooled rapidly from 400°C to below 150°C, most of the Po transported by the hydrothermal fluids would have been flushed out of the granite by the vigorous hydrothermal convective flows as they diminished. Simultaneously, much of the energy to drive these fluid flows dissipates rapidly as the granite temperature drops. Thus, below 150°C (when the Po radiohalos start forming) the hydrothermal fluids have slowed down to such an extent that they cannot sustain protracted flow. Moreover, the capacity of the hydrothermal fluids to carry dissolved Po decreases dramatically as the temperature becomes low. Thus sufficient Po had to be transported quickly to the Po radiocenters to form the Po radiohalos while there was still enough energy at and below 150°C to drive the hydrothermal fluid flows rapidly enough to get the Po isotopes to the deposition sites before they decayed. This is the time and temperature “window” depicted schematically in Fig. 8. It would thus simply be impossible for the Po radiohalos to form slowly over many thousands of years at today’s groundwater temperatures in cold granites. Hot hydrothermal fluids are needed to dissolve and carry the polonium atoms, and heat is needed to drive rapid hydrothermal convection to move Po transporting fluids fast enough to supply the Po radiocenters to generate the Po radiohalos. Furthermore, the required heat cannot be sustained for the 100 million years or more while sufficient 238U decays at today’s rates to produce the 500 million–1 billion Po atoms needed for each Po radiohalo. In summary, for there to be sufficient Po to produce a radiohalo after the granite has cooled to 150°C, the timescales of the decay process as well as the cooling both must be on same order as the lifetimes of the Po isotopes. Thus, the hydrothermal fluid flows had to be rapid, as the convection system was short-lived while the granite crystallized and cooled rapidly within 6–10 days, and as they transported sufficient Po atoms to generate the Po radiohalos within hours to a few days. The Shap Granite does not appear to be unique, but rather is typical of other granites, in terms of its mineralogy, chemistry and texture, and the hydrothermal fluids it generated. Thus, this model for its rapid formation and cooling can be extended to other granite bodies, as has been done by Snelling,112, 113 Snelling and Armitage,114 and Snelling and Gates.115 Even the enormous metamorphic aureole is not unique to the Shap Granite. Many other granites are surrounded by aureoles, though often smaller. Almost all granites show evidence of the hydrothermal fluids they generated as they crystallized and cooled. The ubiquitous presence of Po radiohalos116 is also testimony to these hydrothermal fluids. Even in those granites where fewer Po radiohalos would suggest less hydrothermal fluids were produced in them, the presence of Po radiohalos indicates there were still sufficient hydrothermal fluids to cool them rapidly. The volume of the Shap Granite is small compared with that of the large Lake District Batholith to which it belongs. Yet because this model of rapid formation and cooling has been applied successfully to so many other granite bodies, there are many reasons to conclude that each of the plutons making up the batholith likewise formed and cooled rapidly. Indeed, the volume of the nested granite plutons of the Tuolumne Intrusive Suite of Yosemite, California, is comparable to that of the Lake District Batholith, and Snelling and Gates117 have built a strong case that each of those voluminous plutons also formed and cooled rapidly. The abundant 238U and Po radiohalos in the Shap Granite are, therefore, compelling evidence that this granite formed in only about 6–10 days. This is consistent with its having intruded into the fossiliferous Flood-deposited Borrowdale and Windermere Group sediments and volcanics. The enormous scale of the contact metamorphic and metasomatic aureole surrounding the Shap Granite is also testimony to the rapid rate of granite cooling and thus rapid release of heat that drove the hydrothermal fluids forcefully out of the pluton and into the surrounding host rocks. Once in the host rocks, the hydrothermal fluids combined convectively with ground waters to disperse the granite’s heat and together produce the aureole. The aureole’s size also is consistent with the granite producing, and the host rocks containing, large volumes of hydrothermal fluids and ground waters, respectively. The ground water would be a consequence of rapid sediment deposition only days and weeks before granite intrusion during the Flood. The force of the intruding granite magma inevitably weakened the surrounding host rocks, particularly above the resulting pluton because the buoyant magma had pushed its way upwards into them. Any induced fracturing of the overlying rocks would have been exploited by the ascending magma. Hydrothermal fluids released by the crystallizing and cooling magma would also tend to be forced upwards more easily than laterally. The high fluid pressures would result in acute hydraulic fracturing of the roof rocks overlying the granite pluton, and the hydrothermal fluids released upwards would produce intense hydrothermal alteration. This combination of intense hydraulic fracturing and hydrothermal alteration of the host rocks directly overlying the granite pluton (the roof) makes the roof more susceptible to subsequent weathering and erosion and thus to being stripped away rapidly to expose (or unroof) the top of the granite pluton.118 In the case of the Shap Granite, the large size of the metamorphic/metasomatic aureole compared to the width of the pluton (fig. 3) likely implies that the hydraulic fracturing and hydrothermal alteration of the roof rocks was very intense, resulting in their increased susceptibility to subsequent rapid erosion and rapid unroofing of the pluton. In regard to the relative timing of deposition of the strata sequence in the Lake District during the Flood (fig. 2), there appears to have been a depositional hiatus at the time the Shap Granite was intruded, with an unconformity at the top of the Silurian Windermere Group before later deposition of the Carboniferous limestone. This implies that when the Shap Granite intruded, its Windermere and Borrowdale Group host rocks were either being uplifted, perhaps by the ascending magma itself, or the Flood water level was dropping, or both. Thus it is entirely possible that within days of intrusion and cooling of the Shap Granite stock the overlying heavily fractured and altered roof rocks were exposed to rapidly falling water levels from their uplifted and arched-up surface, resulting in their rapid erosion to quickly expose the granite beneath. However, due to the tidal movement of the global Flood waters, repeated sediment-laden surges would have quickly eroded both the roof rocks and the granite, so that dislodged pebbles of granite and orthoclase feldspar megacrysts from the granite would soon be deposited nearby in a conglomerate. With rising water levels the subsequent sediment deposition quickly transitioned into limestone. In conclusion, therefore, the presence of abundant Po radiohalos in the Shap Granite and in the sharp granite/host rock boundary, and the large comparative width of the surrounding contact metamorphic and metasomatic aureole, together provide evidence that the granite was intruded as magma and cooled within 6–10 days and was then unroofed within a few days later. Thus, a coherent solution for the perceived time problems associated with the formation of the Shap Granite and the adjacent overlying basal conglomerate containing granite pebbles and orthoclase feldspar megacrysts appears to be available, with no compelling reason to place the Flood/post-Flood boundary between the intrusion of the Devonian Shap Granite and the deposition of the basal conglomerate to the Carboniferous limestone. These observations now show that it is plausible for the Shap Granite to have been generated, intruded, cooled, and then unroofed and eroded, to be immediately followed by deposition of the conglomerate basal to the limestone, all within the early-middle part of the Flood year. The Devonian Shap Granite in the Lake District, England, was intruded as molten magma into the older explosively-erupted Ordovician Borrowdale Group lavas and tuffs and the fossiliferous Flood-deposited Windermere Group sediments overlying them. There is no evidence of fracturing, brecciation and mylonization at the granite/host rocks boundary that should be present if the granite stock had been emplaced tectonically as a cold body. Instead, the heat and hydrothermal fluids from the crystallizing magma produced a 600+ meter wide contact metamorphic and metasomatic aureole. Therefore, the abundant Po radiohalos presently observed in samples of the granite could not have been generated by primordial Po, because the hydrothermal fluids also helped form orthoclase feldspar megacrysts in the granite at 370–410°C. Any pre-existing Po radiohalos in the granite would have been annealed at those temperatures that are well above the 150°C annealing temperature for radiohalos. Instead, the abundant presence of Po radiohalos is consistent with a large volume of hydrothermal fluids released by the cooling granite. These fluids are also responsible for the atypically wide contact metamorphic and metasomatic aureole. Thus, this evidence supports a hydrothermal transport model for Po radiohalos and catastrophically rapid granite formation. This evidence suggests the Shap Granite formed within 6–10 days and its Po radiohalos within hours to days once the granite cooled below 150°C. Hydraulic fracturing and hydrothermal alteration of the host rocks above the granite intrusion would have facilitated rapid unroofing of the pluton also within days. Sediment-laden Flood waters then surging over the exposed granite would have eroded granite pebbles and orthoclase feldspar megacrysts from the granite to quickly deposit them in a conglomerate bed nearby, where sedimentation soon transitioned into a Carboniferous limestone. It is, therefore, entirely conceivable for this sequence of events from formation of the Devonian Shap Granite through to the deposition of the stratigraphically overlying Carboniferous limestone to have occurred within 2–3 weeks during the early-middle part of the Flood year. The Po radiohalos and the other evidence associated with this granite thus remove objections to Flood geology, including the timescale for granite formation, and the need to place the Flood/post-Flood boundary in the lower Carboniferous. This research would not have been achieved without the support and help of numerous people. First, Paul Garner, David Tyler, and Randall Hardy organized and provided transport for the field trip to the Shap Granite and the surrounding area. Second, the Institute for Creation Research funded my time on this project, including the travel and sample processing to count radiohalos. Third, there has been the constant patience and support of my wife Kym and my family in my research endeavors. Fourth, the reviewers and the editor of the manuscript are thanked for their helpful suggestions that improved this paper. And finally, I acknowledge the Lord’s overall help in enabling this research and the enlightening outcomes. Young, D. A., 1977. Creation and the Flood: An alternative to Flood geology and theistic evolution. Grand Rapids, Michigan: Baker. Snelling, A. A., 2006a. Catastrophic granite formation: Rapid melting of sedimentary and metamorphic rocks, and rapid magma intrusion and cooling. In, Yosemite/Death Valley Guidebook, chap. 2, pp. 17–28. Santee, California: Institute for Creation Research. Snelling, A. A., 2008a. Catastrophic granite formation: Rapid melting of source rocks and rapid magma intrusion and cooling. Answers Research Journal 1:11–25. Snelling, A. A., and J. Woodmorappe, 1998. The cooling of thick igneous bodies on a young earth. In, Walsh, R. E. (ed. ), Proceedings of the fourth international conference on creationism, pp. 527–545. Pittsburgh, Pennsylvania: Creation Science Fellowship. Woodmorappe, J., 2001. The rapid formation of granitic rocks: More evidence. TJ 15(2):122–125. Robinson, S. J., 1996. Can Flood geology explain the fossil record? Creation Ex Nihilo Technical Journal 10(1):32–69. Smith, A., 1992. Geological background. In, Dodd, M. (ed. ), Lakeland rocks and landscapes: A field guide, pp. 1–11. Maryport, England: The Cumberland Geological Society, Ellenbank Press. Moseley, F., 1990. The geology of the Lake District. In, Moseley, F. (ed. ), Geology of the Lake District, pp. 7–31. London: Geologists’ Association Guide, The Geologists’ Association. Webb, B. C., and A. H. Cooper, 1986. Slump folds and gravity slide structures in a Lower Palaeozoic marginal basin sequence (the Skiddaw Group) NW England. Journal of Structural Geology 8:79–86. Austin, S. A., J. R. Baumgardner, D. R. Humphreys, A. A. Snelling, L. Vardiman, and K. P. Wise, 1994. Catastrophic plate tectonics: A global Flood model of earth history. In, Walsh, R. E. (ed. ), Proceedings of the third international conference on creationism, pp. 609–621. Pittsburgh, Pennsylvania: Creation Science Fellowship. Branney, M. J., and P. Kokelaar, 1994. Volcanotectonic faulting, soft-state deformation, and rheomorphism of tuffs during development of a piecemeal caldera, English Lake District. Geological Society of America Bulletin 106:507–530. Garner, P., 1992. Catastrophic volcanism in the Borrowdale Volcanic Group (Ordovician) of the English Lake District. Proceedings of the fifth European creationist congress, pp. 23–28. England: Biblical Creation Society and Creation Science Movement. Wilson, C. J. N., 1985. The Taupo eruption, New Zealand: II. The Taupo ignimbrite. Philosophical Transactions of the Royal Society of London, Series A 314:229-310. Bailey, E. B., and J. Weir, 1932. Submarine faulting in Kimmeridgian times, east Sunderland. Transactions of the Royal Society of Edinburgh 57:429–454. Macquaker, J. H. S., and K. M. Bohacs, 2007. On the accumulation of mud. Science 318:1734–1735. Schieber, J., J. Southard, and K. Thaisen, 2007. Accretion of mudstone beds from migrating floccule ripples. Science 318: 1760–1763. Bott, M. H. P., 1974. The geological interpretation of a gravity survey of the English Lake District and the Vale of Eden. Journal of the Geological Society, London 130:309–331. Firman, R. J., and M. K. Lee, 1986. Age and structure of the concealed English Lake District batholith and its probable influence on subsequent sedimentation, tectonics and mineralization. In, Nesbitt, R. W. and I. Nichol (eds. ), Geology in the real world—the Kingsley Dunham volume, pp. 117–127. London: Institution of Mining and Metallurgy. Brown, P. E., J. A. Miller, and N. J. Soper, 1964. Age of the principal intrusions of the Lake District. Proceedings of the Yorkshire Geological Society 34(3):331–342. Pidgeon, R. T., and M. Aftalion, 1978. 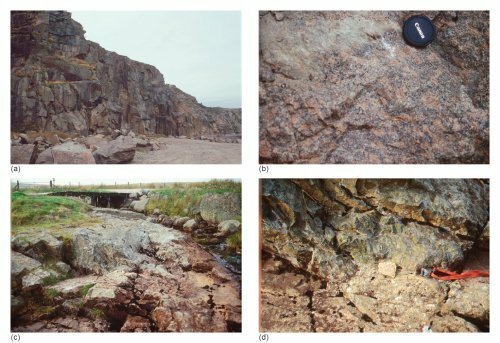 Co-genetic and inherited zircon U-Pb systems in granites: Paleozoic granites of Scotland and England. In, Bowes, D. R. and B. E. Leake (eds. ), Geological Journal Special Issue no. 10, pp. 183–220. Rundle, C. C., 1979. Ordovician intrusion in the English Lake District. Journal of the Geological Society, London 136: 29–38. Rundle, C. C., 1981. The significance of isotopic dates from the English Lake District for the Ordovician-Silurian time-scale. Journal of the Geological Society, London 138:569–572. Wadge, A. J., 1978. Devonian. In, Moseley, F. (ed. ), The geology of the Lake District, pp. 164–167. Yorkshire Geological Society, Occasional Paper No. 3. Soper, N. J., 1987. The Ordovician batholith of the English Lake District. Geological Magazine 124:481–484. Soper, N. J., B. C. Webb, and N. H. Woodcock, 1987. Late Caledonian (Acadian) transgression in north-west England: Timing, geometry and tectonic significance. Proceedings of the Yorkshire Geological Society 46:175–192. Firman, R. J., and M. K. Lee, 1987. 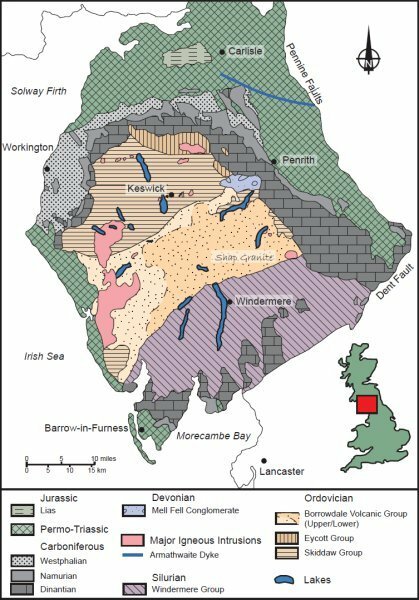 The English Lake District batholith—Ordovician, Silurian, Devonian or . . .? Geological Magazine 124(6):585–587. Webb, B. C., D. Millward, E. W. Johnson, and A. H. Cooper, 1987. The Ordovician batholith of the English Lake District. Geological Magazine 124:482–484. Firman, R. J., 1978a. Epigenetic mineralization. In, Moseley, F. (ed. ), The geology of the Lake District, pp. 226–241. Yorkshire Geological Society, Occasional Paper No. 3. Wadge, A. J., N. H. Gale, R. D. Beckinsdale, and C. C. Rundle, 1978. A Rb-Sr isochron for the Shap Granite. Proceedings of the Yorkshire Geological Society, 42(2):297–305. Ramsbottom, W. H. C., 1977. Major cycles of transgression and regression in the Namurian. Proceedings of the Yorkshire Geological Society 41:261–291. Hovland, M., H. G. Rueslätten, H. K. Johnsen, B. Kvanne, and T. Kuznetsova, 2006. Salt formation associated with subsurface boiling and supercritical water. Marine and Petroleum Geology 23:855–869. Nutting, D. I., 1984. Origin of bedded salt deposits: A critique of evaporative models and defense of a hydrothermal model. M.S. thesis (unpublished). Institute for Creation Research Graduate School, Santee, California. Sozansky, D. I., 1973. Origin of salt deposits in deep-water basins of the Atlantic Ocean. American Association of Petroleum Geologists Bulletin 57:589–590. Skipsey, E., 1992. The Shap Granite. In, Dodd, M. (ed. ), Lakeland rocks and landscapes a field guide, pp. 19–24. Maryport, England: The Cumberland Geological Society, Ellenbank Press. Boulter, C. A., and N. J. Soper, 1973. Structural relationships of the Shap Granite. Proceedings of the Yorkshire Geological Society 39(3):365–369. Grantham, D. R., 1928. The petrology of the Shap Granite and associated rocks. Proceedings of the Geologists’ Association 39:299–331. Harker, A., and J. E. Marr, 1891. The Shap Granite and associated rocks. Quarterly Journal of the Geological Society, London 47:266–328. Harker, A., and J. E. Marr, 1893. Supplementary notes on the metamorphic rocks around the Shap Granite. Quarterly Journal of the Geological Society, London 47:359–371. Lee, M. R., and I. Parsons, 1997. Dislocation formation and albitization in alkali feldspars from the Shap Granite. American Mineralogist 82:557–570. O’Brien, C., J. A. Plant, P. R. Simpson, and J. Tarney, 1985. 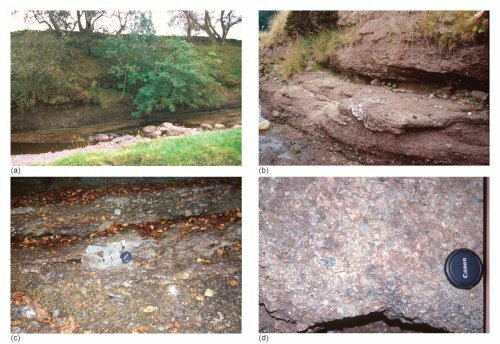 The geochemistry, metasomatism and petrogenesis of the granites of the English Lake District. Journal of the Geological Society, London 142:1139–1157. Cox, R. A., T. J. Dempster, B. R. Bell, and G. Rogers, 1996. Crystallization of the Shap Granite: Evidence from zoned K-feldspar megacrysts. Journal of the Geological Society, London 153:625–635. Harker and Marr, Ref. 37. Firman, R. J., 1978b. Intrusions. In, Moseley, F. (ed. ), The geology of the Lake District, pp. 146–153. Yorkshire Geological Society, Occasional Paper No. 3. O’Brien et al., Ref. 40. Cox et al., Ref. 41. Evans, D. J., W. J. Rowley, R. A. Chadwick, G. S. Kimbell, and D. Millward, 1994. Seismic reflection data and the internal structure of the Lake District batholith, Cumbria, northern England. Proceedings of the Yorkshire Geological Society 50(1):11–24. Lee and Parsons, Ref. 39. Lee, M. R., K. A. Waldron, and I. Parsons, 1995. Exsolution and alteration microtextures in alkali feldspar phenocrysts from the Shap Granite. Mineralogical Magazine 59:63–78. Brown et al., Ref. 19. Dodson, M. H., J. A. Miller, and D. York, 1961. Potassium-argon ages of the Dartmoor and Shap granites using the total volume and isotopic dilution techniques of argon measurement. Nature 190:800–802. Kulp, J. L., L. E. Long, C. E. Giffin, A. A. Mills, R. St.J. Lambert, B. J. Giletti, and R. K. Webster, 1960. Potassium-argon and rubidium-strontium ages of some granites from Britain and Eire. Nature 185:495–497. Lambert, R. St. J., and A. A. Mills, 1961. Some critical points for the Palaeozoic time-scale from the British Isles. Annals of the New York Academy of Sciences 91:378–389. Pidgeon and Aftalion, Ref. 20. Wadge et al., Ref. 29. Snelling, A. A., 2005a. Radiohalos in granites: Evidence for accelerated nuclear decay. In, Vardiman, L., A. A. Snelling, and E. F. Chaffin (eds. ), Radioisotopes and the age of the earth: Results of a young-earth creationist research initiative, pp. 101– 207. El Cajon, California: Institute for Creation Research & Chino Valley, Arizona: Creation Research Society. Snelling, A. A., and M. H. Armitage, 2003. Radiohalos—a tale of three granitic plutons. In, Ivey, R. L. Jr. (ed. ), Proceedings of the fifth international conference on creationism, pp. 243–267. Pittsburgh, Pennsylvania: Creation Science Fellowship. Gentry, R. V., 1988. Creation’s tiny mystery, p. 122. Knoxville, Tennessee: Earth Science Associates. Gentry, R. V., 1973. Radioactive halos. Annual Review of Nuclear Science 23:347–362. Gentry, R. V., 1974. Radiohalos in a radiochronological and cosmological perspective. Science 184:62–66. Gentry, R. V., 1984. Radioactive halos in a radiochronological and cosmological perspective. 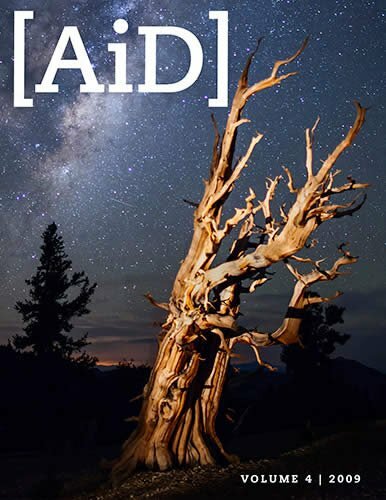 Proceedings of the 63rd annual meeting, Pacific division, American Association for the Advancement of Science 1(3):38–65. Gentry, R. V., 1986. Radioactive haloes: Implications for creation. In, Walsh, R. E., C. L. Brooks, and R. S. Crowell (eds. ), Proceedings of the first international conference on creationism, vol. 2, pp. 89–112. Pittsburgh, Pennsylvania: Creation Science Fellowship. Snelling, A. A., 2000. Radiohalos. In, Vardiman, L., A. A. Snelling, and E. F. Chaffin (eds. ), Radioisotopes and the age of the earth: A young-earth creationist research initiative, pp. 381–468. El Cajon, California: Institute for Creation Research and St. Joseph, Missouri: Creation Research Society. Gentry, R. V., 1989. Response to Wise. Creation Research Society Quarterly 25:176–180. Laney, R., and A. W. Laughlin, 1981. Natural annealing of the pleochroic haloes in biotite samples from deep drill holes, Fenton Hill, New Mexico. Geophysical Research Letters 8(5):501–504. Snelling and Armitage, Ref. 63. Snelling, A. A., 2005b. Polonium radiohalos: The model for their formation tested and verified. Impact #386. El Cajon, California: Institute for Creation Research. Snelling, A. A., 2008b. A test of the hydrothermal fluid transport model for polonium radiohalo formation: The Thunderhead Sandstone, Great Smoky Mountains, Tennessee. Answers Research Journal 1:53–64. Snelling, A. A., 2006b. Confirmation of rapid metamorphism of rocks. Impact #392. El Cajon, California: Institute for Creation Research. Snelling, A. A., and D. Gates, 2008. The implications of Po radiohalos in the nested plutons of the Tuolumne Intrusive Suite, Yosemite. Answers Research Journal 1, in preparation. Harker and Marr, Ref. 38. Lee and Parson, Ref. 53. Lee et al., Ref. 39. Laney and Laughlin, Ref. 77. Clemens, J. D., 2005. Granites and granitic magmas: Strange phenomena and new perspectives on some old problems. Proceedings of the Geologists’ Association 116:9–16. Petford, N. A. R. Cruden, K. J. W. McCaffrey, and J.-L. Vigneresse, 2000. Granite magma formation, transport and emplacement in the earth’s crust. Nature 408:669–673. Snelling and Woodmorappe, Ref. 4. Austin et al., Ref. 10. Vardiman, L., A. A. Snelling, and E. F. Chaffin, (eds. ), 2005. Radioisotopes and the age of the earth: Results of a young-earth creationist research initiative. El Cajon, California: Institute for Creation Research and Chino Valley, Arizona: Creation Research Society. Chaffin, E. F., 1994. Are the fundamental “constants” of physics really variables? In, Walsh, R. E. (ed. ), Proceedings of the third international conference on creationism, pp. 143–149. Pittsburgh, Pennsylvania: Creation Science Fellowship. Austin, S. A., 2005. Do radioisotope clocks need repair? Testing the assumptions of isochron dating using K-Ar, Rb-Sr, Sm- Nd, and Pb-Pb isotopes. In Vardiman, L., A. A. Snelling, and E. F. Chaffin (eds. ), Radioisotopes and the age of the earth: Results of a young-earth creationist research initiative, pp. 325–392. El Cajon, California: Institute for Creation Research andChino Valley, Arizona: Creation Research Society. Snelling, A. A., 2005c. Isochron discordances and the role of inheritance and mixing of radioisotopes in the mantle and crust. In Vardiman, L., A. A. Snelling, and E. F. Chaffin (eds. ), Radioisotopes and the age of the earth: Results of a young-earth creationist research initiative, pp. 393–524. El Cajon, California: Institute for Creation Research & Chino Valley, Arizona: Creation Research Society. Snelling and Gates, Ref. 85. Tyler, D. J., 1990. A tectonically-controlled rock cycle. In, Walsh, R. E. and C. L. Brooks (eds. ), Proceedings of the second international conference on creationism, pp. 293–299. Pittsburgh, Pennsylvania: Creation Science Fellowship.